The beautiful new Echo Park Jack & Jill: Jill collection is one of my favorite releases from Echo Park in recent months. I love the beautiful mix of colors and the vintage inspired feel to the line. There are so many coordinating embellishments to choose from, and I'm in love with the designer dies and stamps that match this collection. In fact, these feminine gift boxes feature the gorgeous Heart Doily Designer Die from the collection. I just love it! The papers in this collection already include bits of kraft color in them, so I decided to use the Carta Bella Kraft Cardstock to create my 2 ½ inch gift boxes. I used a punch board, but you could also use manual dies or an electronic die cutting machine to make your boxes. 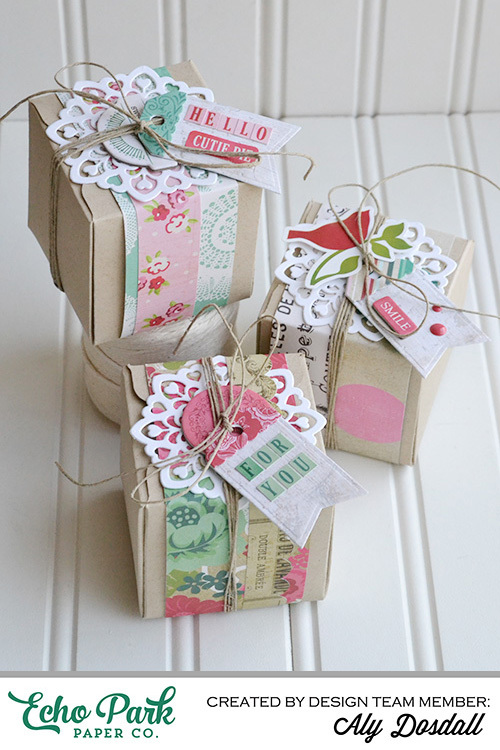 There are also plenty of pre-cut boxes that you can purchase from a paper goods store and assemble yourself. I decorated my boxes by wrapping strips of Jack & Jill: Jill patterned paper and border stickers around them. 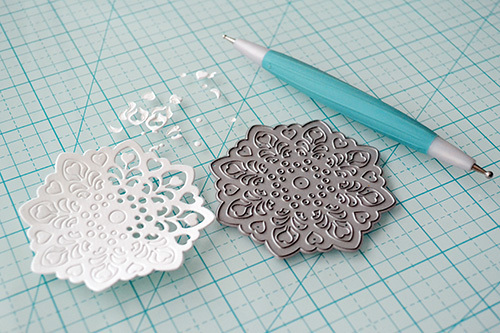 Then I die cut some heart doilies from white cardstock. This die is a fairly intricate one, so I used my stylus tool to poke out the leftover bits after die cutting the doilies. I added the doilies and some coordinating stickers at the top of each box, tied them with jute twine, and then included tags that I cut with the Holiday Tag Designer Die Set. 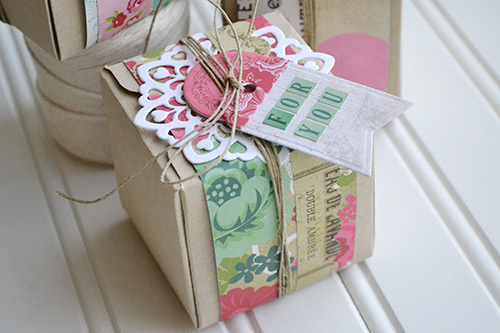 I love the vintage feminine touch the pretty die cut doilies add to the boxes. 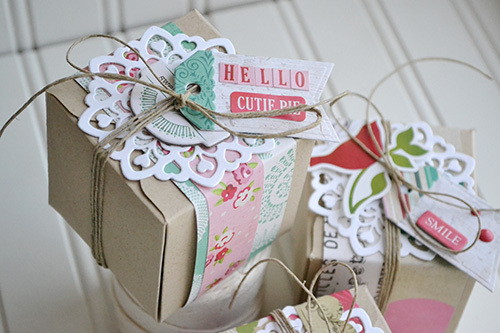 These pretty boxes would be great to hold little gifts or goodies for any occasion! Thanks for letting me share this fun project with you today. For a full supply list, visit the original post on the Echo Park Paper blog HERE. Aly, these so rock! :) Swoon!